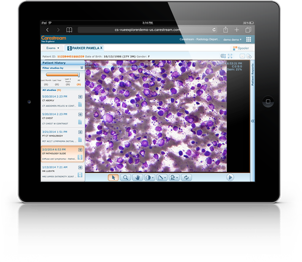 Acquire clinical images from virtually any source. Capture and ingest images remotely using web-enabled mobile devices. Provide context that makes images easy to find, manage and use. Capture clinical content virtually anywhere using smartphones, tablets and other web-enabled mobile devices, with context awareness to facilitate simple upload. Implement trauma and telemedicine applications with web-enabled mobile capture and mapping of images. Easily add metadata to provide a meaningful context to clinical images and data while making the information you need easily searchable. Our standards-based interface supports IHE-XDS, HL7, DICOM, FHIR, file share and web services for management of records from any source within a single workspace. Capture images in JPG, MOV, MP4, PDF, CCD and ECG formats using existing equipment, mobile devices, video systems and tomorrow's innovative imaging devices. An advanced frame grabber and mobile device captures digital images and video from any department and modality — for example, endoscopy footage taken during minimally invasive surgery.